One of my colleagues in Italy hails from Turin. This fall when I was over for work, we spent some time visiting his beautiful native city and the surrounding areas of Piemonte including Barbaresco and Alba. As excited as I was to visit the famed truffle market of Alba, the crowning glory of the visit was without a doubt Sunday lunch with Andrea’s mom, Elena. “Mama! Ciao!” Andrea called out. Elena, came around the corner, her eyes twinkling. Having your grown son home for Sunday lunch is a very good thing. Even if he brings someone who does not speak Italian. I understand a good deal – but really can’t say much. So I smiled a lot. Andrea had to explain, that as a Canadian, I really needed to see the original Eataly here in Turin. He turned to me, “Rosario….!? !” eyebrows to the sky. “Mama – we brought you marrons glacés from Alba.” Elena’s beamed as she examined the package. We went into the kitchen and started to unpack our groceries. The table in the dining room was already set with Andrea’s mom’s best china. 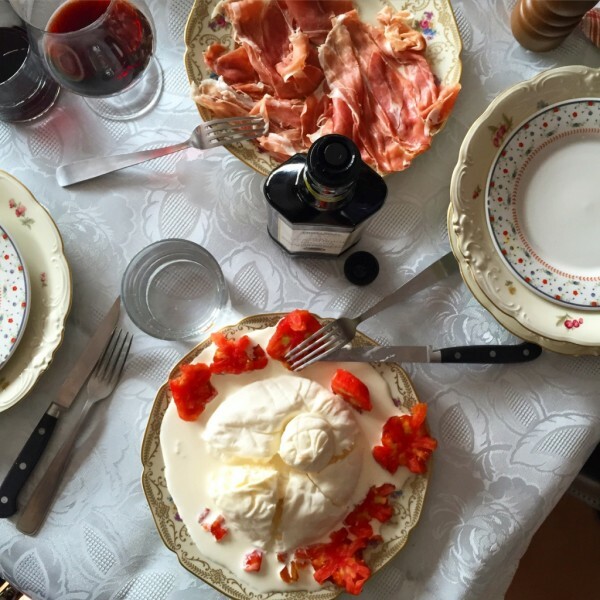 We plated the prosciutto, the burrata, fresh tomatoes and bread and sat down with a glass of Dolcetto D’Alba. 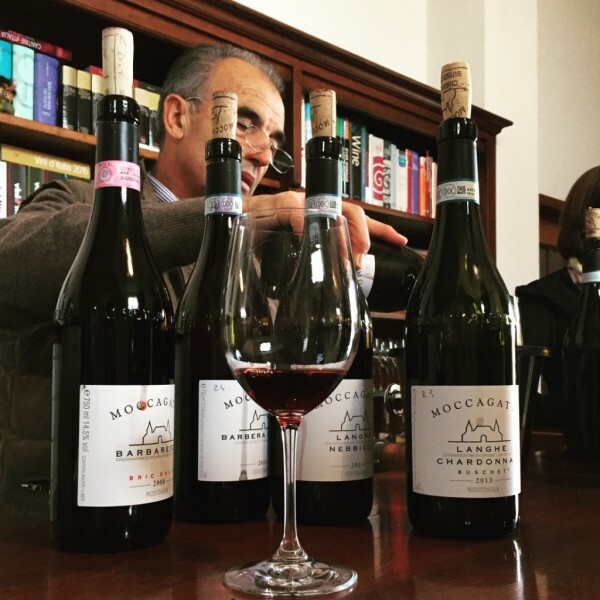 We had visited a winery yesterday, Andrea hoping to stock up on his favourite Dolcetto, but they were out, so instead we were forced to taste a full range of Barbaresco’s. This Dolcetto was delightful – perfect way to start Sunday lunch. Under normal conditions, I could make a full meal of burrata, tomatoes and bread. But I had to save some room. We went into the kitchen; Andrea showed me the bowl where he was keeping a dozen eggs, our little white truffle nestled in between. He popped open the lid. Smelled like heaven. 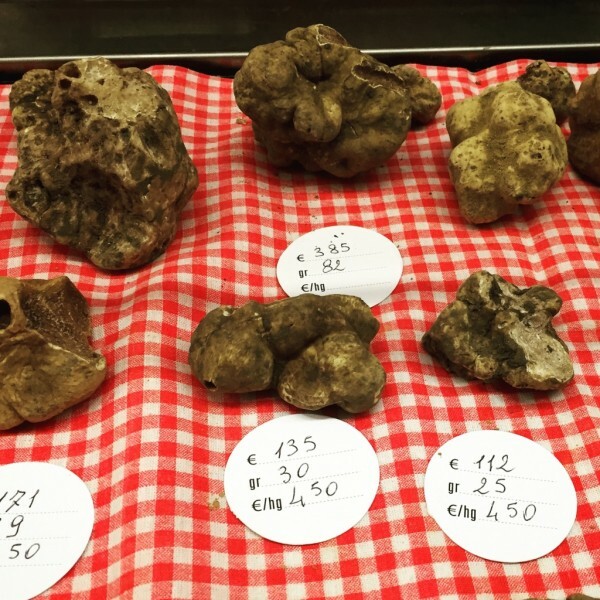 The truffle was from yesterday’s adventure – to the truffle market of Alba. We had surveyed all the forager’s tables, trying to decide who to buy from. Everyone had the same story…..this year…..the truffles are in very limited supply…….but of EXCELLENT quality. We approached a table, where a man who reminded me of Hagrid from Harry Potter stood. We sniffed a few of his truffles, but were not taken…..we decided to move on. He was not so pleased. A few tables down we stopped again. The forager took a few truffles out, one at a time for us to sniff. The thing is – the entire hall was filled with truffles – so it actually was very difficult to tell which ones were good. There was so much truffle aroma in the air – you actually stopped being able to smell it. (Doubt that will ever happen again in my life) We haggled on the price, and our little truffle was unceremoniously wrapped in paper towel and placed in our possession. 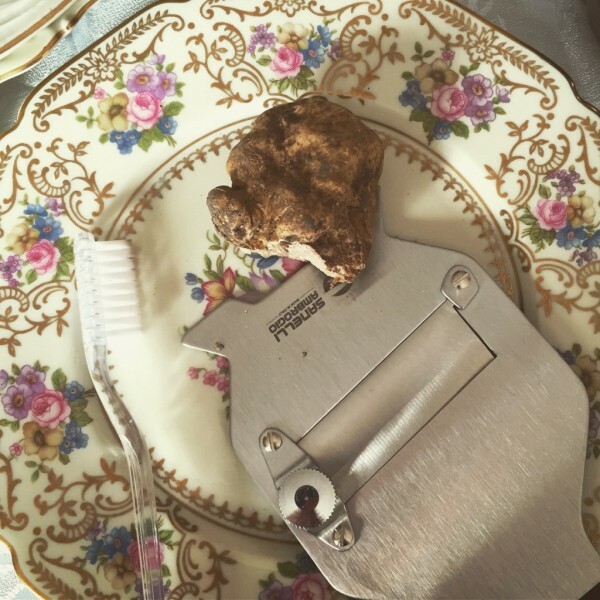 Our next stop was at the judge’s table – where a certified truffle sniffer inspected our purchase for us. He turned it over and over – looking very closely at the surface. He held it up to his (substantial) nose, took a good long sniff (I worried he’d sniff all the truffle out) and declared it an excellent specimen. Andrea opened a 1996 Barbaresco. Elena quietly dug into her chestnuts and sampled one while supervising me cooking in her kitchen. I melted some butter in a pan, and cracked 3 eggs. Just as the white set, I broke the yolk and gave it a light scramble. 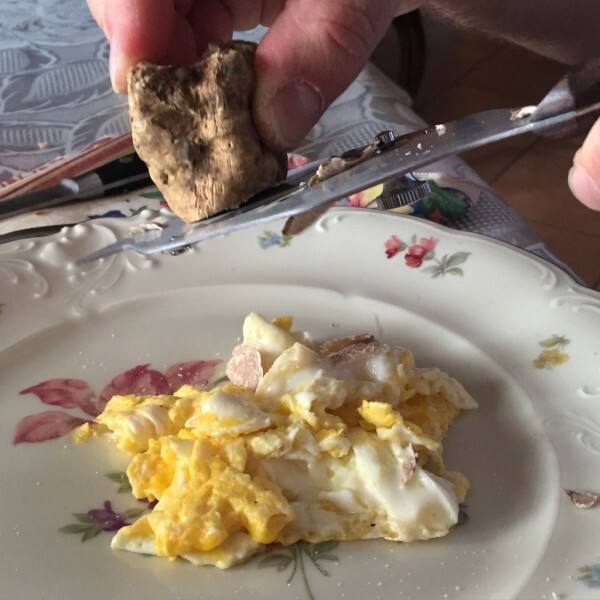 (I like to call this “frambled” – half fried, half scrambled) We took this into the dining room and grated the first shavings of our fresh white truffle on top. Andrea’s turn – he fried three more eggs – the whites slightly crispy from melted butter and the yolks perfectly runny. More truffle. We were pretty proud of our purchase. 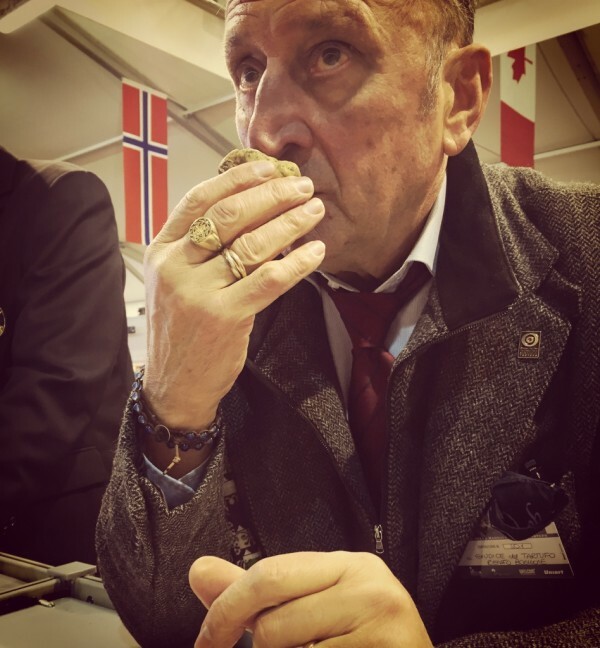 Of all the truffles at the 85th International White Truffle Fair in Alba, surely ours was the best. Time for a little pasta. We had picked up some Tajarin at the market – delicate, thin dry pasta rich with egg yolks. 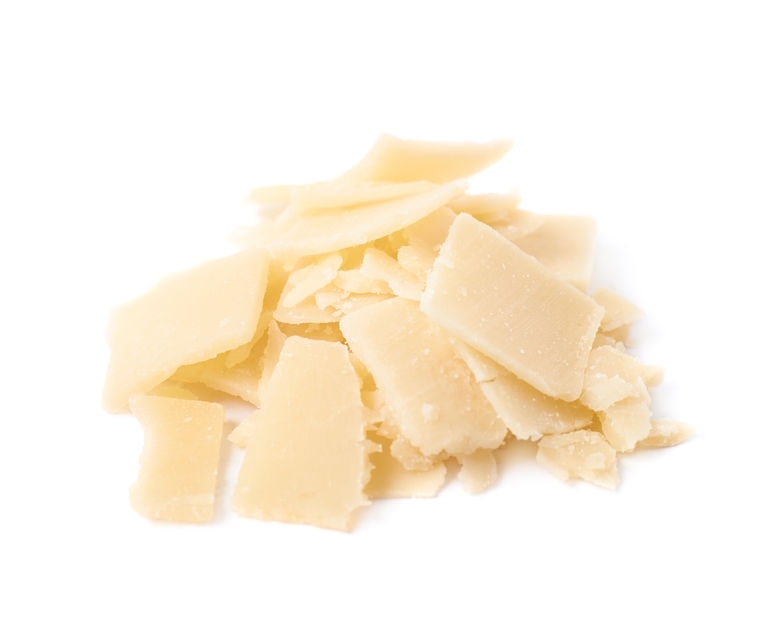 This was tossed with butter, olive oil, 5 year old Parmigiano Reggiano from our Eataly adventure – and topped with the last shavings of our beloved white truffle. We told Andrea’s mom about the market, all the foragers, the dogs……she smiled and ate her pasta. Elena took our plates to the kitchen – “Sit, sit…” she insisted. I turned to Andrea when Elena was out of earshot (not that she would understand me). Elena re-appeared. I thought lunch was over, but she placed a gorgeous plate in the centre of the table. 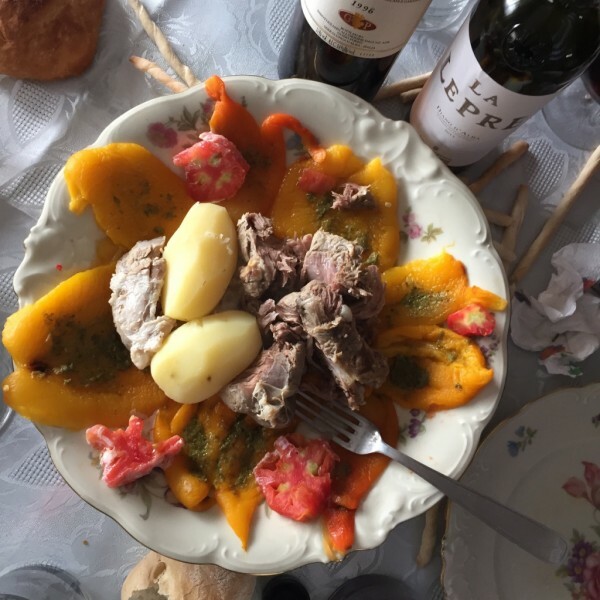 Her bollito was delicious – a classic Piemonte dish – although I was full to near bursting. Andrea’s mom did not eat, she was too full….but she did bring her chestnuts to the table and nibbled on another. 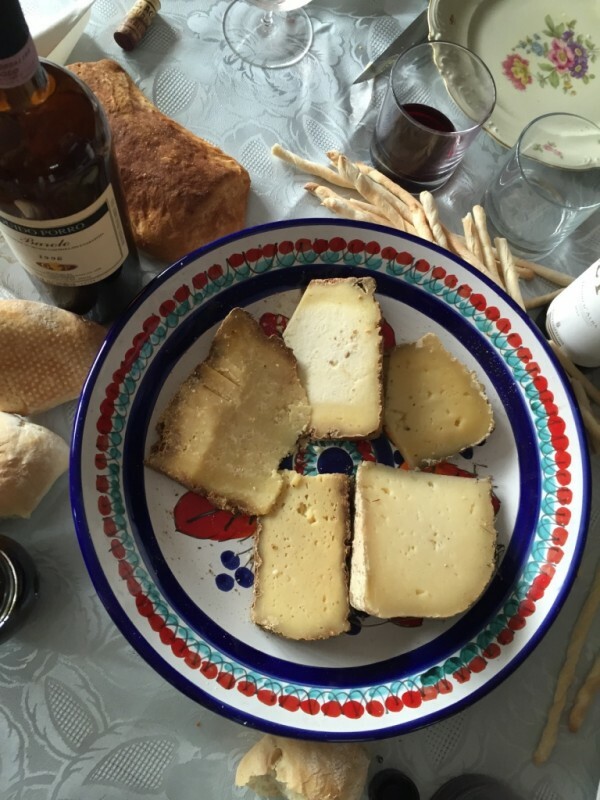 We finished the feast with cheese we’d bought at the truffle fair – Castelmagno, Testun del Fin….and poured the last glass of Barbaresco. As Elena polished off the rest of the marrons glacés she described to me in detail (in Italian) the opera she had recently travelled to Verona to see. Her expressions and hand gestures were incredible – I think she even forgot we didn’t speak the same language. 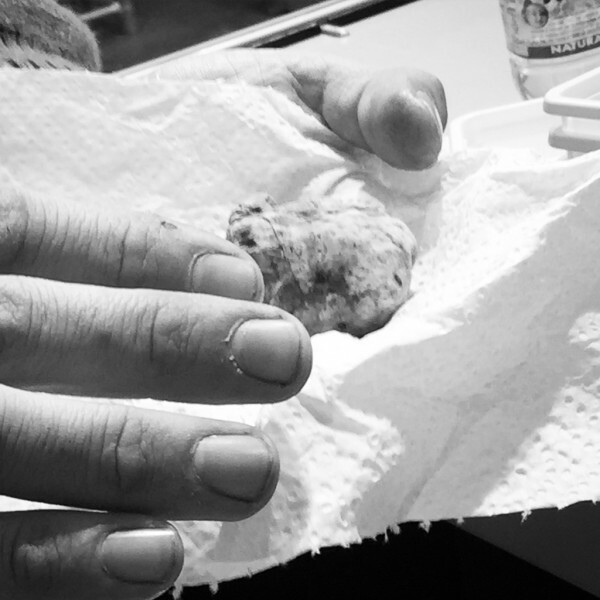 The truffle gone, the wine drunk and all the candied chestnuts eaten (by sweet Elena), it was time to say goodbye. “Grazie mille, alla prossima volta.” I gave my new friend a big hug. 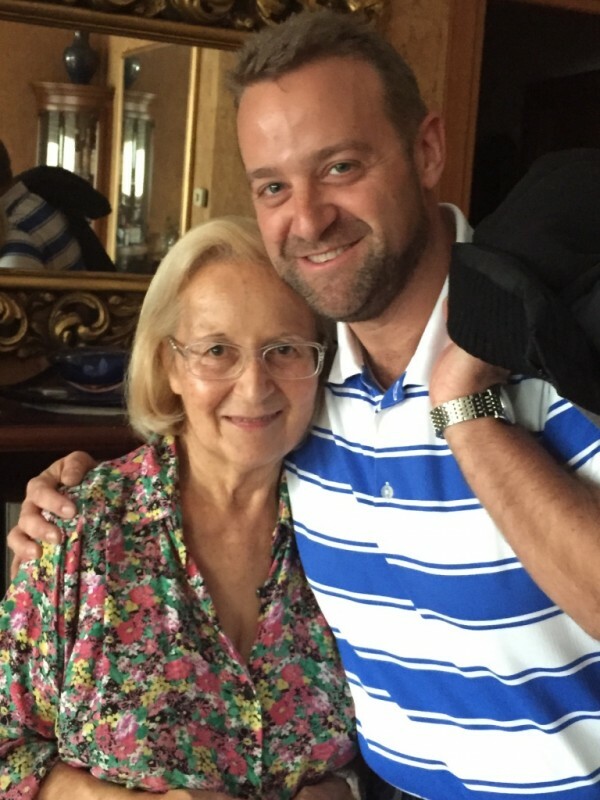 And so, now I must plan a trip back to Turin to visit Elena and meet the famous Rosario and hopefully eat some more of her delicious bollito. I will be sure to remember to take her a box of candied chestnuts. 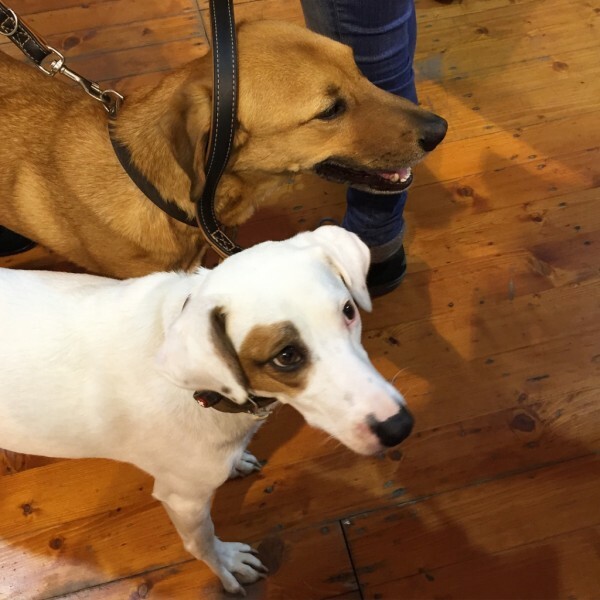 If you do find yourself in Northern Italy in October – try to visit the Alba Truffle Fair – it really is a sight to see – in addition to more truffles than you will ever encounter in one spot in your lifetime there are incredible cheeses, desserts, pasta, wines – all ready for tasting and buying.